I never really started out wanting to be a filmmaker, it just happened. This project started out writing music to create awareness about the issues that we are facing here on Earth. Sometimes when you start a project, you can’t imagine the journey that awaits you. You will often hear Entrepreneurs state in interviews how their companies started one way and then they were inspired or challenged to make changes, taking their companies in a whole new direction. “Tesla” takes viewers on a journey deep inside the controversial electric car revolution. During the process of writing this song I did a lot of research on Nikola Tesla, a man driven by sure passion to help mankind. He was not driven by money, power or greed. He had a great love for this planet and all of mankind. His life and inventions didn’t receive the recognition that they should have but he was often ridiculed and called a “madman”. I really wonder what this world would be like now if greed wouldn’t have altered the course of history with the electric car. This film had many challenges taking you through history, the past, present and future, of the electric car. Keeping it open to all generations that are prone to respond differently to different mediums was a challenge during the making of this film. I believe in blending different forms of art such as audio, visuals, storytelling, and special effects. You can create a more powerful piece than by using one art form alone. Stories can definitely alter lives, even slightly. Stories can also have an uncanny way of repeating themselves if life’s lessons have not been learned. 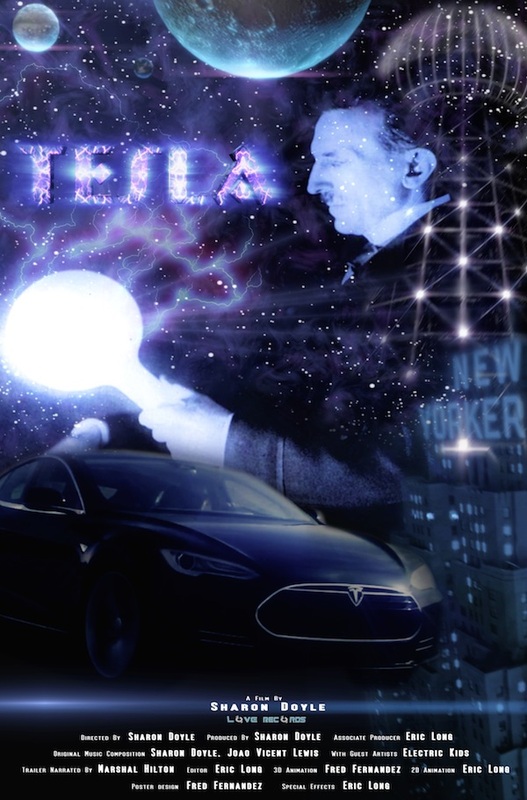 “Tesla” slowly and unexpectedly became an intricate and important part of the larger project. My surprising struggle to complete this film gave me more hope and strength about the future of humanity on Earth than I could have every thought possible. The “Love” song was interwoven into the fabric of the film giving it a modern day feel to a story that goes back to the early 1900s, and with the help of the “Electric Kids” it encapsulates what the future of tomorrow holds for them. I feel passionate for film and the world I live in. My hope is to carry inspiration to others and share an untold story about Nikola Tesla’s contributions to the world and to the development of the electric car. I want to be a filmmaker who is known to document untold life events and how we can all make a positive change for the future of humanity. I am overwhelmed with gratitude to those who participated in the making of the “Love” song and the “Tesla” movie, for we all share a passion to create works of art to inspire others. I am humbled and honored to have been able to capture this on film. Eric Long joins Love Records to create one of kind films that are sure to inspire and expand the imagination. Eric has learned from the best, legendary documentarian Tim Powell. His passion for the enviroment will transform his work into cinematic masterpieces . Eric Long is a documentary filmmaker living in Ocean Beach San Diego, with a film production degree from San Diego State University. He has worked on civil rights documentaries including "My Mahkzen and Me," and "475: When Marriage Becomes Punishment," which have reached thousands of viewers around the world. His 2013 award winning narrative film "The Vagabond Psalm," is currently being played in the film festival circuit, while he is working on the upcoming Operation HOT documentary, which was shot in Afghanistan and Kuwait with the United States Military.